Chandigarh 29th November:- Cleopatra Beauty Wellness & Makeovers raised curtain from the most coveted beauty and fashion event. Richa Aggarwal, beauty & makeover expert was joined in by Ace Fashion Designers Ajay Sinha and Buzy from Buzjay Fashion Studio. Event aimed at providing ideal platform to youth to give vent to their creativity in fashion, styling, makeovers and hair couture. There skills were put under spotlight to win the title of being best in beauty, styling, makeovers and innovation. Leading towards the goal of empowerment and skilling youth. Students competed for vivid categories like, champions in styling, women of substance. Bridal makeovers, runway styles, Women of substance, Hollywood retro looks and red carpet looks. Event was an ode to skilling India in a way of empowering, educating, imparting knowledge, nurturing, recognizing and rewarding youth thus creating an aura and opportunities for them to achieve and realise their true potential in their career. Innovative and stylish show of talent progressed with certification ceremony as judges of the event Ace fashion designers Ajay Sinha & Buzy from Buzjay Fashion Studio, Social Activist and TV personality Aabha Jha Coudhary and former Mrs Indian Samaira Sandhu rewarded students. Special highlight of the event was showcasing of vivid looks created by students who manifested a spectrum of looks showcased by Stunning and beautiful Showstoppers Tara Viva & Bahar Chawla. 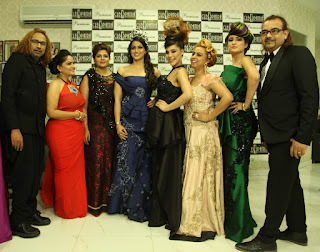 Everyone got enthralled by exquisite makeovers of CLEOPATRA and royal ensemble by Buzjay fashion studio. Richa Aggarwal and beauty expert Harveen kathuria gave insight into latest trends in winter wedding makeovers while Designers Ajay Sinha and Buzy unleashed ultra glamorous trends for beautiful women from inside out. They were all praise for the work of students. Richa Aggarwal, Samaira Sandhu ,Aabha Jha Choudhary and Designer Ajay Sinha making a joint statement quoted '. The presentation by students was very young and vibrant and Cleopatra's training academy has done remarkable job by nurturing these students and unleashing their hidden talent, We are happy to be catalyst to a show that encourages youth and provides them a platform to taste the beauty & fashion world before they take actual step forward. Chandigarh 28th November:- Post Graduate Guru Gobind Singh College for Women, Sector 26, Chandigarh organized its 38th Annual Convocation in the college premises on November 28th, 2016 . The First Lady, Mrs. Alka Singh, W/o V.P. 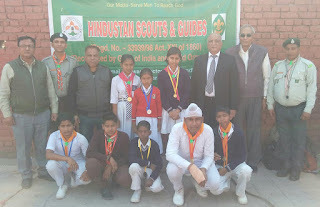 Singh Badnore, Governor of Punjab and Administrator, U.T Chandigarh was the Chief Guest. After the introduction of the Staff, the Chief Guest along with Academic Procession entered the hall to the melodious tunes of Sitar played by the college students. The ceremony commenced with the recitation of the Shabad "Gur Parsadi Vidya Vichare Parh-Parh Pave Maan". Col (Retd.) J.S Bala (Secretary, Sikh Educational Society) welcomed the Chief Guest. Gurdev Singh Brar accorded a floral welcome to the Chief Guest. The College Principal Dr. Charanjeet Kaur Sohi presented the annual report of the college, highlighting the achievements and activities of the college faculty and students. Total 443 Degrees were conferred by the Chief Guest on the occasion to the students of M.Com, MA, MSc. (IT), BA, B.Com and BCA. The Chief Guest, in her convocation address, applauded the teachings of Guru Gobind Singh Ji, calling him a Saint, a Soldier and a Poet par-excellence, and motivated the students to follow the path of righteousness like him. She touched upon the key issues of Organ Donation and making India Cashless, which she said, is the need of the hour. At the end she praised the institution for its excellence and encouraged the students to become the bright future of the Nation. Chandigarh 28th November:- The general public and residents of Chandigarh has been informed that the registration for participating in e-auction of vehicle registration numbers of new series "CH01-BK" for special or choice registration numbers 0001 to 9999 will start from 01.12.2016 (10:00 AM) and will continue till 07.12.2016 (05:00 PM) and the e-auction will start on 08.12.2016 (10:00 AM) and will continue till 10.12.2016 (05:00PM). website:www.chdtransport.gov.in and obtain the Unique Acknowledgement Number (UAN). The owner of the vehicle who has purchased the vehicle at Chandigarh address only will be allowed to participate in e-auction. Sale Letter i.e Form No. 21, UID i.e. Aadhaar Card and address proof of Chandigarh are mandatory to participate in the e-auction. After getting himself or herself registered on the above cited National Transport website or through Chandigarh Administration, Transport Department website, the owner of the vehicle will deposit the fee for registration for participating in e-auction and reserve amount of the special or choice registration numbers in the O/o Registering & Licensing Authority, Near Municipal Corporation Building Sector-17, U.T., Chandigarh by way of DD in favour of "Registering & Licensing Authority, U.T., Chandigarh" payable at Chandigarh. The detail of fee for registration for participating in e-auction, the list of reserve price for each special number, procedure of online auction and terms & Conditions for e-auction is available on Chandigarh Administration, Transport Department website: www.chdtransport.gov.in . For any further information and query please contact at 0172-2700341 or Inquiry Counter located at O/o Registering & Licensing Authority, Chandigarh (U.T.). Chandigarh 28th November:- Beam Suntory today announced the launch of Two New Single Malts "Ardmore" and "Bowmore 12 year old" under the Peated Malts of Distinction portfolio in addition to the number one Islay malt, Laphraoig 10 year Old . The launch of these peated malts signifies Beam Suntory's continued commitment to the Indian market and indicates the huge opportunity that Beam Suntory sees for malts in India, where its flagship brand Teacher's is amongst the leading scotch brand in India. Beam Suntory offers an unrivalled collection of single malts under its range of Peated Malts of Distinction, to satisfy an array of consumer's tastes. The Ardmore Legacy, a light, silky peat smoke, balanced with sweet honey and spice. As well as the Bowmore 12 Year Old, a mid-range peated whisky that is perfectly balanced with a smooth, mellow taste of peat, fruit and honey notes. 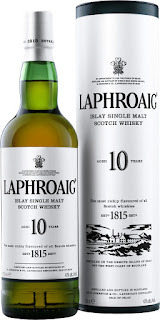 These brands will sit alongside the number one Islay malt, Laphroaig, which is already established in the Indian market. 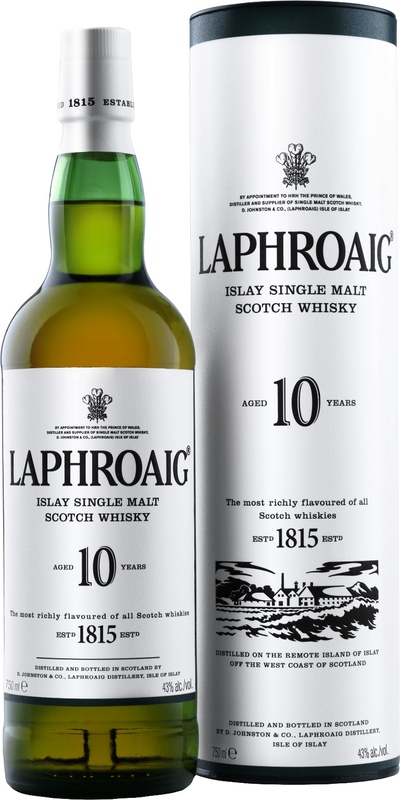 Laphroaig 10 Year Old is the most intensely peated malt whisky in the Peated Malts of Distinction collection, with hints of coconut and banana complimented by a medicinal complex taste. Speaking at the launch of Ardmore and Bowmore in India, the Spokesperson for, Beam Suntory India said that at Beam Suntory, we have always believed in understanding the needs of consumers and offering brands with highest quality. We are confident that these three premium peated malts, The Ardmore Legacy, Bowmore 12 Year Old and Laphroaig 10 Year Old will stand out for their quality, unique flavour profiles and compelling heritage. India is one of the world's leading Scotch markets and we expect these incredible brands to become exclusive and aspirational expressions in India. 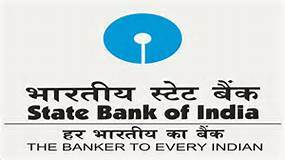 Chandigarh 28th November:-State Bank of India, Chandigarh Circle, organised camps at 405 locations in the states of Haryana, Himachal Pradesh, J&K & Punjab to open bank accounts. All the Customer Service Points (CSPs) run by the Bank's Banking Correspondents (BCs) participated in the two-day long account opening campaign. More than 12,500 accounts were opened over the long weekend. Most of the new customers acquired comprised workers from the unorganized sector, wage earners, women and students. All the new accounts were seeded with Aadhar and Mobile numbers.